This year, Valentine’s Day falls on a Thursday…what better day for a party?! We sat down with Datemakers to put together a boozy, fun-filled celebration. Everyone’s welcome, regardless of relationship status. Prepare yourselves for a tea party of epic proportions. 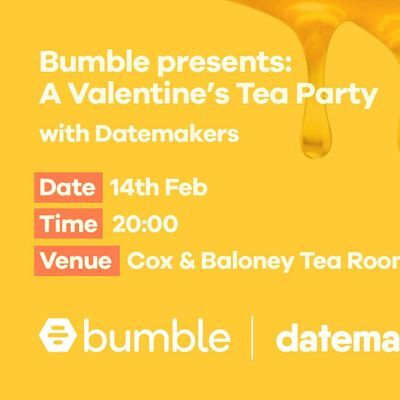 Held at the Mad Hatters-style tea room Cox and Baloney, we’re bringing you a night of cocktails, cakes, mini date experiences, and a live DJ to continue the party into the night. And what’s more, it’s all on us. This is a night of two halves. 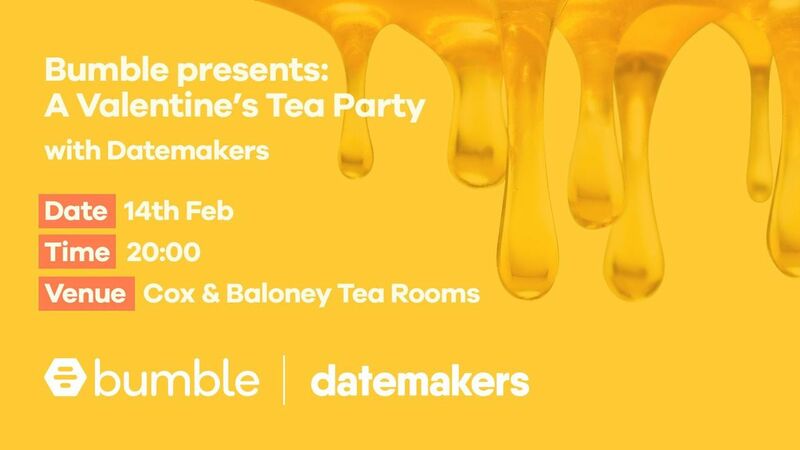 Upstairs from 8pm - 10pm there’ll be complimentary cocktails and cake and the chance to try out mini versions of Datemakers’ dates: expect foodie dates, boozy dates and creative dates (spoiler: there WILL be cheese tasting). 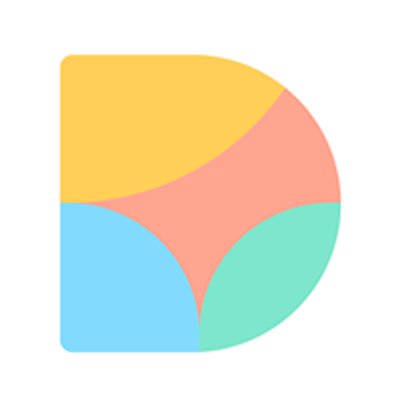 This is the perfect time to meet new people (a last minute Valentine, perhaps?) or spend some quality time with your partner and friends on a double date. Then from 10pm, you’ll head downstairs to boogie into the early hours. Tunes supplied and spun by our very own Bumble DJs. This is a FREE EVENT and tickets include all of the above - plus a few extra surprises. There will also be two cash-only bars open on the night. There are limited spaces so please secure your space and RSVP by following the link from eventbrite.See you there!